Managing waste-water as a resource has become the new paradigm, what with water resources being seriously competed for and the general difficulty of accessing water. Added to this scarcity value of water are the tougher laws on the environment and for pollution control. Some of the interesting new technologies include DEWATS or decentralised wastewater treatment systems and SBT or Soil Bio-technology. The DEWATS system looks at treating wastewater from a small 1000 litres to 1000 cubic metres per day. This system can handle wastewater from homes, apartments, institutions and even small and medium industries. It is a four-step process which involves sedimentation, up-flow anaerobic digestion, aerobic treatment in horizontal planted gravel filters and, finally, aerobic treatment in a polishing pond. The website says that more than 350 DEWATS systems have been implemented all across South Asia. The one at the Arvind Eye Hospital in Pondicherry has been an outstanding model. The SBT treatment or the Soil Bio-Technology system has been developed by Professor Shankar from IIT-Mumbai. The system also uses what is called a combination of organic and inorganic matter in a soil layer with bacteria and earthworms as a mode of treatment. A three million litres per day treatment plant is running in Mumbai for some time and the results have been extremely positive. In Bangalore, two experimental plants of smaller scale have been running and have shown excellent preliminary results. Both DEWATS and SBT use nature as their source of treatment. Bacteria and soil-based creatures do their job sometimes in an anaerobic condition as with part of the DEWATS and sometimes in aerobic conditions as in SBT. Both require low energy, if at all, and there are no moving parts, thus reducing maintenance issues and cost. Both can be integrated into landscapes and the treated wastewater used for productive irrigation applications as well as for non-potable uses such as toilet flushing. The systems help in ensuring ‘zero discharge’ for the building where they are used. More information on DEWATS is available on the website http://cddindia.org/ which is the Centre for Dewats Dissemination Society in India. It organises regular training programmes too. Information on for SBT from Prof H.S.Shankar should be available on the e-mail hss@iitb.ac.in. China has seen a boom in wastewater treatment systems over the last five years. Similarly India too will see a boom in the business. Solutions for wastewater treatment will necessarily have to adapt to Indian conditions and work on reducing maintenance cost and manpower requirement. The nutrients recovered from the waste-water treatment need to be used productively for soil enhancement rather than to pollute water bodies. One of the biggest threats to the environment resulting in contamination of both surface water and ground water has been domestic sewage. Treating this will protect the environment and fresh water supplies, thus enhancing sustainable water availability. This is the path to water wisdom. 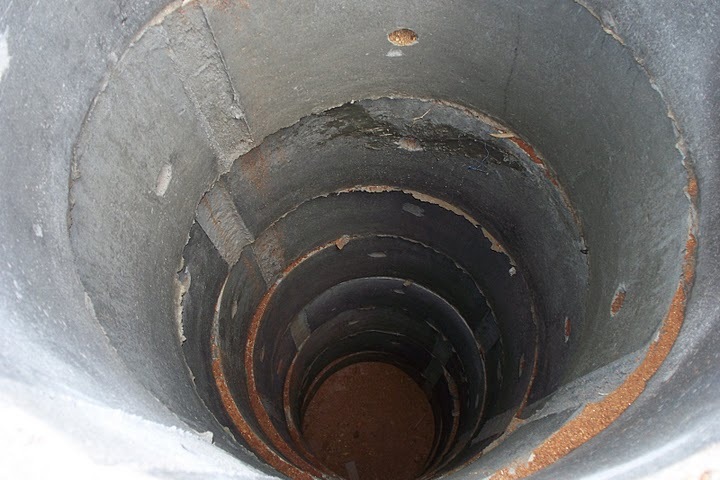 What is a well’s relevance in a city now? It represents a culture and an ethic which is crucial to the sustainable use of water. A well taps only the dynamic water table which is annually replenished. 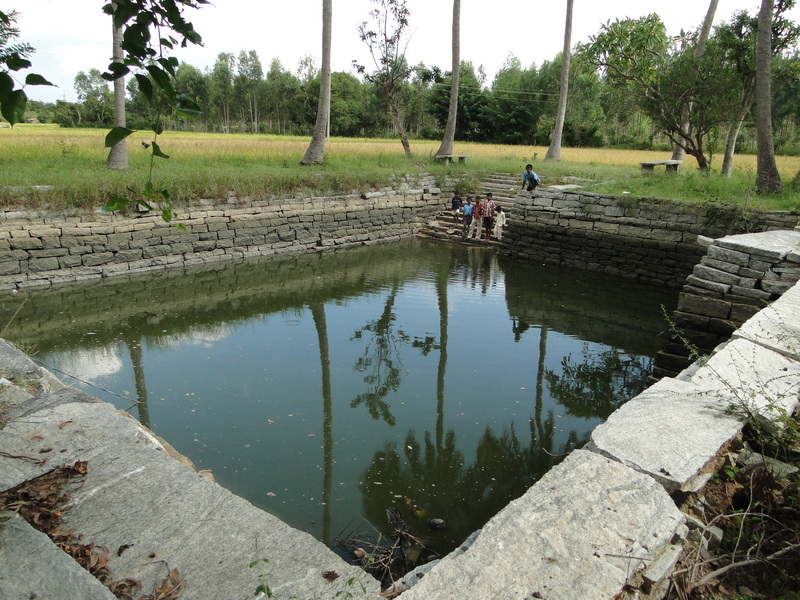 It gives fresh clean water if the surroundings are kept clean and the well itself maintained every year. It represents an understanding of soil and the ground which resulted in the first scientific approach to understand where to dig for it, how deep to dig, how wide to dig and how to line it. It was the meeting point for exchange of information and a daily walk or two and exercise in lifting the water. Because it called for effort, water use was efficient and minimal. You would hardly want to lift more water to waste it. This, in current parlance, is called demand management. The water from the well was free, the human right to water. The well talks to you if you care to listen. It tells you that summer is approaching as water levels fall. You are asked to be prudent and conserve water. It tells you that this year the rainfall failed and is a drought year so there is very little water available. It also tells you about years of plenty when sometimes the well filled to the brim. Demand and supply was, therefore, based on ecological availability of rain and water and was dynamic. Contrast this when man is distanced from the source of water with a utility as an intermediary. The borewell and the pipelines hardly converse with you and water is now distanced to be consumed as a commodity. When the resource runs out there is a feeling of betrayal and panic. The culture had its ills. 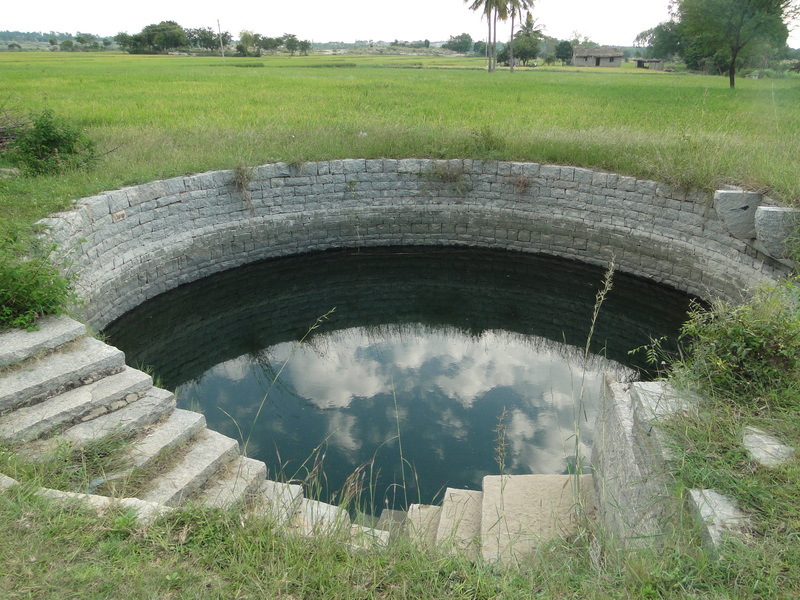 Wells were caste-based in certain areas with certain people not allowed to use it. It became polluted easily if not taken care of. Certain disease like cholera could spread easily if the water was not treated and people committed suicide in it. It is therefore heartening to see the revival of the well culture. Rainwater harvesting being made mandatory has seen a proliferation of recharge wells- structures 3 to 5 feet in diameter and 10 to 30 feet deep are being dug and rooftop rainwater filtered and led into it. A recent visit to an apartment of 24 flats was enlightening. The occupants had dug seven recharge wells and made sure that every drop of water falling on the site was diverted to it. Over time the water levels had come up and could be seen in the open well itself. The borewell, 200 feet deep, which had gone dry had revived and was yielding better than old times. Every time it rained the occupants would check that the system was functioning and that water was flowing into the recharge wells. The connect with rain and water seemed to have been re-established for these urban dwellers. An old well on rocky terrain which had gone dry showed 20 feet of standing water after recharge. A small pump was humming merrily and the well water was being used. Open wells have the least energy costs in pumping and the higher the water table the lower the energy demand. Rainwater harvesting and recharge helps reduce energy demand and carbon emissions. All over the city wells are making a comeback. Now to receive water and replenish the earth, unlike the old days when they use to give water. Wells can be planned and integrated in every form of development — individual homes, institutions, industries and large apartments. Storm water and rainwater networks can be linked for recharge of the aquifer. Urban flooding can be reduced, if not eliminated, through the right design and use of the wells and with time and careful stewardship they shall connect the clouds and the earth. Two precautions are needed: adequate collection and disposal of sewage so as not to pollute the wells and adequate disposal of garbage. Restricted demand based on availability of water in the well will mean sustainable water needs for the city. Cities would be well advised to reinvent the well culture both from a traditional but also a functional point of view. We can rightly say all is well with our waters then. That would be water wisdom. India has a rich cultural heritage on water structures and architecture. Consider the beautiful step-wells all around the country from Hampi in Karnataka, Abaneri in Rajasthan and Bundelkhand to Adalaj Vav near Ahmedabad. Water structures include the ‘ghats’ or river bank steps at Srirangapatna, Benaras and on the banks of the Narmada. Water architecture has is reflected in the temple ponds or the ‘kalyani’ in Melkote, Thiruvananthapuram and Madurai. Water aesthetics have been elaborated as the beautiful channels and fountains at Humayun’s tomb Delhi or again at Hampi. Often forgotten are the more prosaic but equally beautiful structures like the large open wells with their beautiful granite dry stone pitching, bridges built of stone or brick masonry with their arches, dams built of earth and lime mortar, aqueducts which brought water to cities, siphons which helped empty reservoirs when they were full and pumps which helped ship water to distant cities. All these cultural heritage structures and devices around water have tremendous tourism and knowledge potential which in the West enhances property value all around and spurs the local economy. In Sydney, Paddington reservoir, one of the oldest of its kind, has been restored and made into a recreation spot with signboards explaining the history and evolution of the system. Cities and governments needs to revisit these structures and draw up a plan to fit it around the local needs. Consider the history of water supply to a city like Bangalore. A dam was built on the Arkavathy at Hessarghatta in 1894 and it is one of the most beautiful and scenic spots around Bangalore. There is a siphon here which when the reservoir was full in the olden days would empty the excess waters. The sound of the siphon could be heard for miles, say the old timers. The reservoir now does not fill up but the siphon is itself in a state of disrepair and there is no explanatory board to suggest how the system functions. A brick aqueduct would bring water some kilometres from Hessarghatta to a place called Turubanhalli from where a steam engine imported from the U.K. was used to lift the waters to a reservoir at Jalahalli. From here the water would flow to the ‘jewel filters’ at Malleswaram and be distributed to the city. The steam engines are still there in pristine condition but tucked away in a room and the brick aqueduct is being eaten away by vandals, destroying a precious heritage. Again, no explanatory boards are seen anywhere. Bangalore was also one of the first cities in India to have electricity which was then used to replace the steam pumps with electric ones. This too is a remarkable thing needing to be showcased but, alas, we do not respect history and our heritage. Virtually nothing of this system or the feats of our engineers has been preserved or showcased to the city and its younger generation. We are, it seems, not proud of our engineering skills. 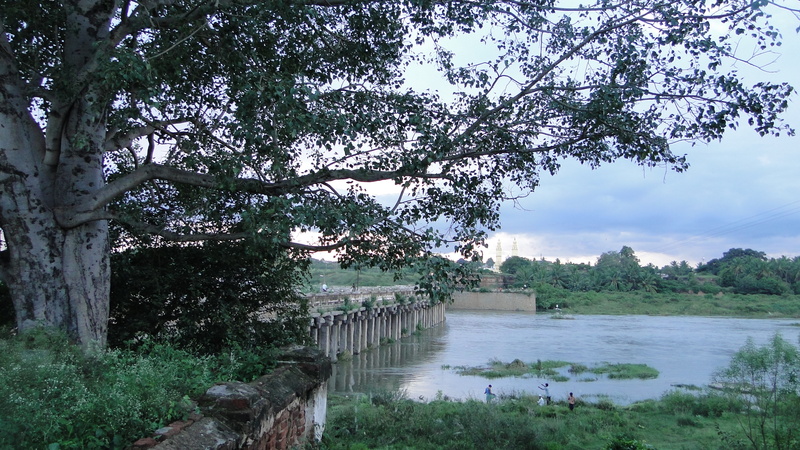 Consider the beautiful Wellesley bridge, called the ‘haley sethuve’ or old bridge, in Srirangapatna. Built during 1802-04 the beautiful stone bridge still continuous to be functional and can take car traffic too. How many modern structures can claim such longevity? Yet there is virtually little information available on this beautiful bridge. Trees and roots establish themselves on the deck and the pillars, the old sign board announcing its inauguration by none other than Dewan Purnaiah is unmanaged and the bridge is in slow decay. None of the property and resorts that have come along on the banks of the Cauvery do anything to highlight and help preserve this engineering marvel. Neither does the Tourism Department or the PWD Department. In Humayun’s tomb in Delhi and in Hampi, work is in progress to revitalise and showcase the water heritage. Channels, ponds and ‘kalyani’ are being revived, fountains resurrected and explanation boards coming up. This is good work, but just the beginning. Similarly we need to focus on all such structures for in them there are lessons of creativity and overcoming problems through engineering ingenuity. More institutions apart from the Archaeology Department need to get involved. The Bangalore Water Supply and Sewerage Board can take up the revitalisation work of Bangalore city’s water heritage, for example. The PWD can refrain from what it did with the beautiful old stone bridge on the Shimsha at Maddur built in the 1850s, which it dismantled and sold as stones. It can take up the restoration of the Wellesley Bridge aesthetically and showcase its design. By respecting our water tradition and culture and by letting our young generation know about the efforts put behind the marvellous structures we will have spread water literacy and done justice to our forefathers’ works. That in a sense is the path to water wisdom. You are currently browsing the Harvesting Rainwater blog archives for November, 2010.